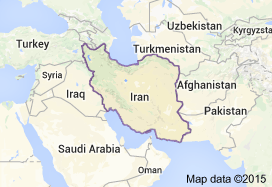 How Iran Became the Center for Islamic Fundamentalism – Wake Up! Wake Up! The West was labeled the Great Satan by the Ayatollah Khomeini soon after the 1979 Iran Revolution. There was a time when America was a friend of Iran, when America was highly regarded by the people of Iran. What happened? The people of America as a whole have little regard for history. History is not a favorite topic or subject to be taken at school. I believe a history course should be included every year in middle and high school – probably all four years of college as well. Why? So we can know the past, to include mistakes made, understand people, understand leaders, gain insight and make better decisions. Such decisions include the choice of the persons we elect into office. After all we are the ones that vote and put them there. Governments, the Administrations, the President and his stable of advisors make decisions that impact and affect all citizens. Unfortunately we cannot say we should not be blamed for their choices, good or bad, as it is the people of a democracy that turn the lever and cast the ballot that determines the victor and the persons(s) our fate(s) depends on. After WWII Iran was a poor country. It was potentially wealthy in oil, but the British, the Anglo-Iranian Oil Company they controlled, owned the fields and enjoyed the bulk of the wealth derived. Because of arrangements made with leaders after the turn of the century that needed money to support their lifestyle, over that of their countrymen, Britain gained access to precious resources of Iran. Through WWI and II Britain’s colonialization in Iran enabled it to enjoy the spoils of black gold, sharing little with the locals. They did discover it (1908). They did extract it. They did refine it. They did pay for the license to do it. But what they did not do was make life better for the Iranians that worked the fields. The Iranians, even the oil field employees, did not have the life-style change they deserved and was possible. After all it was their country and the oil was under it. Mossadegh developed a disregard for the British and their penchant to impose their authority over those they exploited (cheaply mind you). He saw them as self-righteous, stubborn, selfish, possessive and intransigent which led to Mossadegh entering the political arena, becoming a symbol for Iranian national ideals, and in turn, nationalizing the oil fields. He was democratically elected Prime Minister of Iran – chosen by parliament (Majlis of Iran). That did not sit well with the proper British. The National Iranian Oil Company (1951) became an enterprise for the people, but not without consequences. The Brits resisted and would not compromise. They called for Mossadegh’s resignation or removal as prime minister of Iran. Mossadegh was also a man wanting a free, independent nation of people. He accepted change and modernity. He liked America, but then things changed. The British wanted what they considered their oil back. They turned to the USA; it was 1952. The British government wanted America to assist them and help depose Mossadegh and regain the control over the oil fields they had enjoyed. President Truman said ‘no.’ He respected the people’s choice, that of the Iranian people. Then there was an election in November 1952. Eisenhower was elected the 34th President. John Foster Dulles was chosen to be Secretary of State and his brother, Allen Dulles the head of the CIA. Churchill, a clever and staunch Brit with little room for compromise, was brought back as Prime Minister of the UK (1951-1955). You might say this was to help get back the oil. He was more successful persuading the Eisenhower Administration than Truman. The British took a stance. An armada prevented oil being shipped from Iran. Workers were ill-equipped to operate the fields without the proper guidance. There was a stalemate along with an embargo. Without the oil flowing Iran even received less than it had when the British were in total control. Much was in the air in Europe and the Middle East after WWII regarding the spread of communism. Stalin was still in power. He died in March of 1953. The British took a new approach to gain America’s support. They expressed concern for a communist takeover of Iran. To this the Dulles brothers reacted and recommended Eisenhower agree. He did, thus altering the stance taken by his predecessor Truman. The story unfolds. Mossadegh in 1953 finds himself ousted with the help of our CIA. The Shah Pahlavi is returned to rule. The British got their oil, the Shah lots of money and his power. Little improved for the people of Iran. The Americans liked Pahlavi, but never really knew the tyrant he was. He was glamorized. 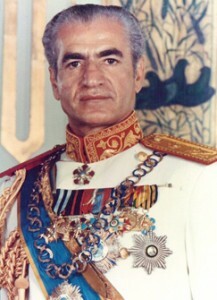 The Shah was weak and controlling. He feared being overthrown and took drastic measures to insure he maintained his throne. The Iranian people grew to hate him and those he put it power. They became restless. The door was opened for the political Islamists, the return of the Shiite Cleric Khomeini. In January of 1979 under Jimmy Carter’s Presidency the Ayatollah launched the revolution. The Shah had to leave or be killed. Carter offered him refuge in America. This did not sit well with the people of Iran. They wanted him back. They asked, why is America doing this? Now they saw the Shah as America’s puppet as well as seeing America as complicit in the atrocities he committed against his own. The US Embassy in Tehran was stormed in November 1979 and 66 American’s taken hostage. Khomeini’s power was enhanced. His desire for a theocracy came to fruition. Then came economic sanctions. Relations with Iran and the West only weakened. The Khomeini lied to the people at the start of the Revolution, creating his Theocracy and changing the lives of those in Iran afterwards. Political Islam and the terrorist acts to follow had begun. The candle was lit. 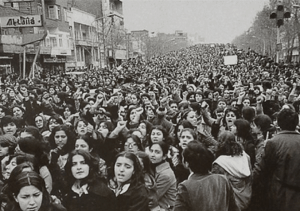 In 1979 Iranian women stormed the streets (pictured) protesting the new requirement to where hijabs – no longer would their Western style of dress be permitted. America had the Shah leave the USA, but it was not back to Iran; the hostages were retained. They were held for 444 days. It was as if the mark of Islam was put on the map of the United States, the face of the West became the Great Satan. We were a friend no more. Iran has been a haven for the growth of terrorism ever since. The history of explosive and killing actions has their roots in Iran. For Al Qaeda and Bin Laden their history begins with Iran, from training, funding, coaching, and supporting the hatred of the Ayatollah towards America, and the Little Satan, Israel (because of America’s support, and that they are Jewish). The trend began over oil and with the overthrow of Mossadegh. Left in power he would have led Iran to become a beacon for democracy in the Middle East. He was an honorable man loved by the people. He was not corrupt. The people knew this of him. The plot against him used subterfuge and false accusations, funded by British Intelligence and the CIA. Demonstrations were contrived with participants paid to denounce Mossadegh. It was a covert affair sanctioned by the two great western nations. For what end? The political leaders at that time (the Dulles Brothers and Eisenhower – USA, and Churchill – UK) were unaware of the consequences of their indulgent actions. Today we see the result. The turmoil in the Middle East continues. The history of the genesis of hatred towards the West is unknown by far too many. It has been lost in the history books kept closed to those who need to understand. Even our educators fail to address this subject in their classes. It must come from our teachers and professors. They too may be ignorant of history. How can the chaos be curbed? It is the question for which the answer requires a complete understanding of the dynamics of events leading up to the present. Also it must be known and accepted that political Islam, Islamic fundamentalism, and Islam itself, is an ideology, as is Communism. That must be faced head on. It is a reality. It is not Godly. It is the goal from a growing band of marauders wanting to subject the world to its cruel Sharia Law and exercise judgment on humanity. The only form of wealth creation by the Islamists is by taking from others, each other if necessary. It is not capitalism. It is Islamism. It is the methods employed by Muhammad – stealing in the name of Allah to reward marauders with the spoils of their terrorist actions and to continue to expand in the name of Allah. Those who resist will be extirpated. It is a Holy War (Jihad) and a war of unholy proportions. To protect freedom we must resist.